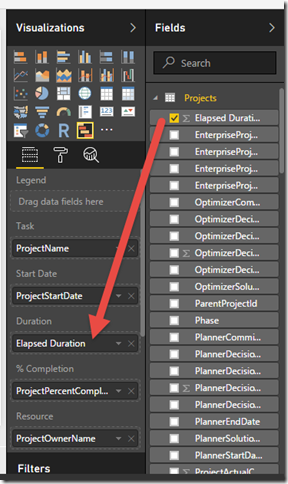 It came to my attention recently that my previous post on Gantt Charts in Power BI needed slight modification in order to display the correct length of the Gantt bar. 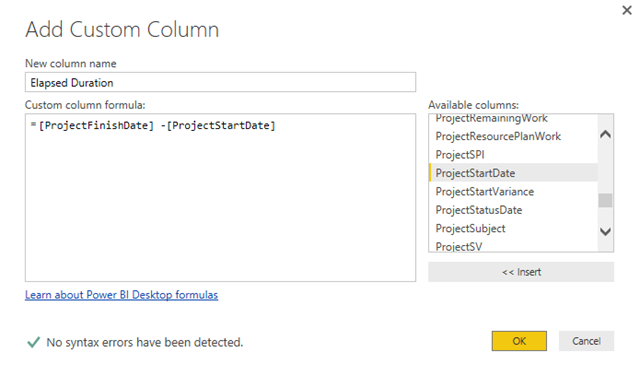 In the post I used the ProjectDuration to display the duration on the Gantt bar, however this is held in “working hours” and not “elapsed days” (which the visualisation expects) and so we need to use Power Query to create a new calculation. 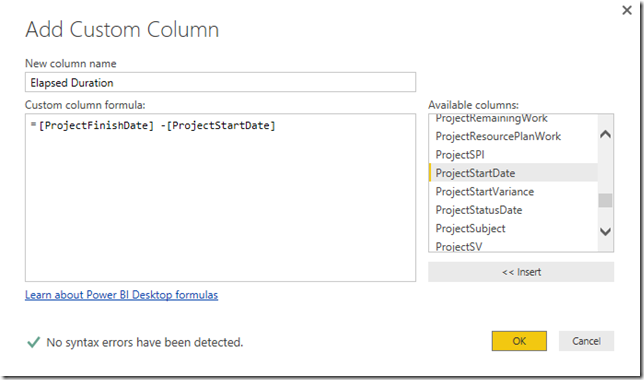 Scroll to the right of the table and review the new column. You’ll see the elapsed duration displayed in DD:HH:MM:SS format. 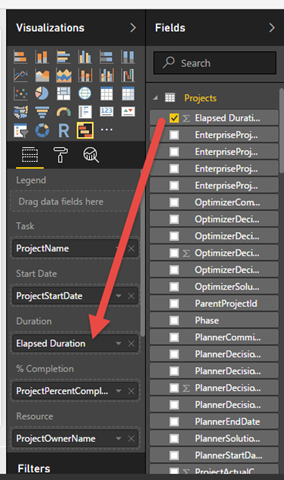 It’s not likely that you’ll get a whole number in the Elapsed duration column, because (by default) tasks start @ 08:00 and finish at 17:00. 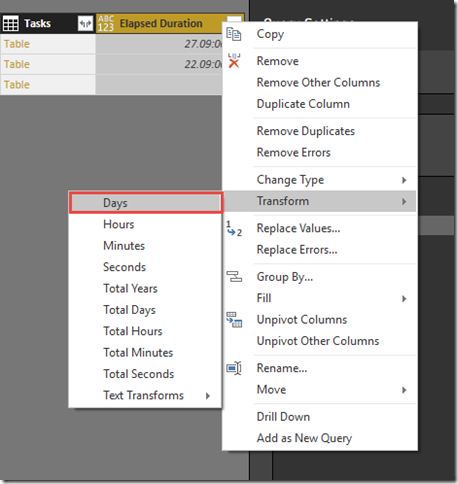 The best thing to do is to Transform the column to days or Change the Type to be a Whole Number – both options will work.